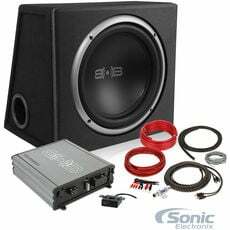 Save time and money by purchasing a sub and box together. 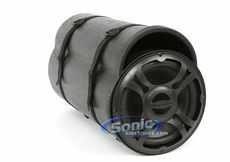 We carry enclosed sub boxes with a single subwoofer, as well as enclosures with 2 subs or more. 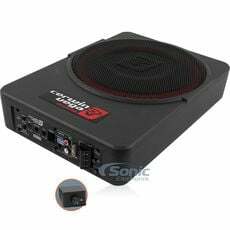 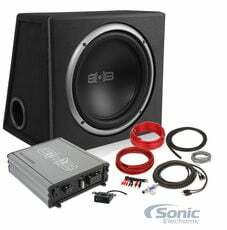 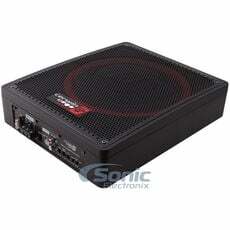 Additionally, we have complete packages that also include a power amplifier and amp kit. 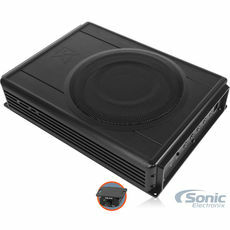 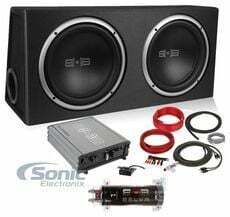 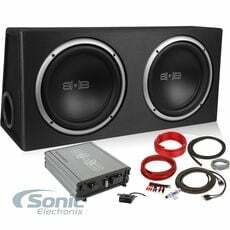 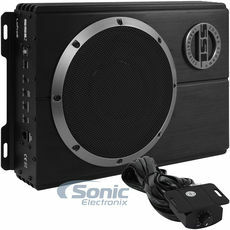 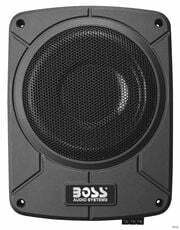 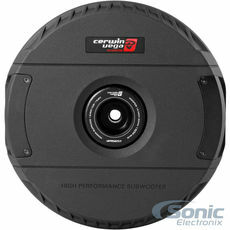 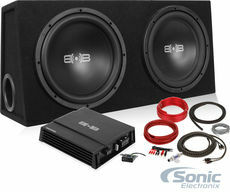 Information about Enclosures loaded with Subwoofers: We carry both non-amplified and amplified boxes loaded with subs. 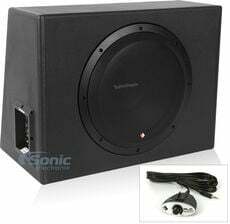 Amplified subwoofer enclosure boxes include an amplifier specifically designed for a subwoofer and vice versa. 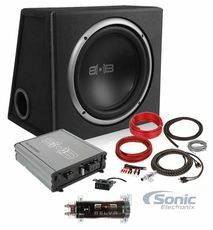 Either way, you save plenty of trunk space with these combo packages, especially if you buy angled enclosures loaded with subs. 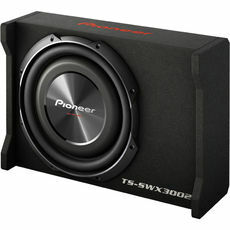 These boxes allow you to squeeze subs behind your vehicle's seats. 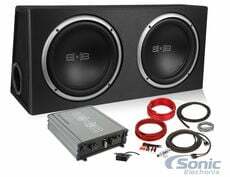 You can also buy vehicle specific subwoofer boxes loaded with subs such as our JL Audio Stealthboxes or our MTX ThunderForm enclosures. 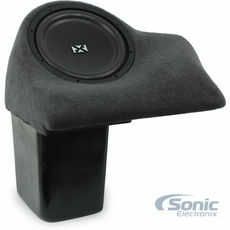 These custom built subwoofer boxes are designed to match your vehicle's dimensions and interior.